A very good plant for growing in pots or containers for the patio or deck garden due to its compact free flowering habit. Each flower has six but sometimes up to ten sepals, giving it almost a semi double appearance. 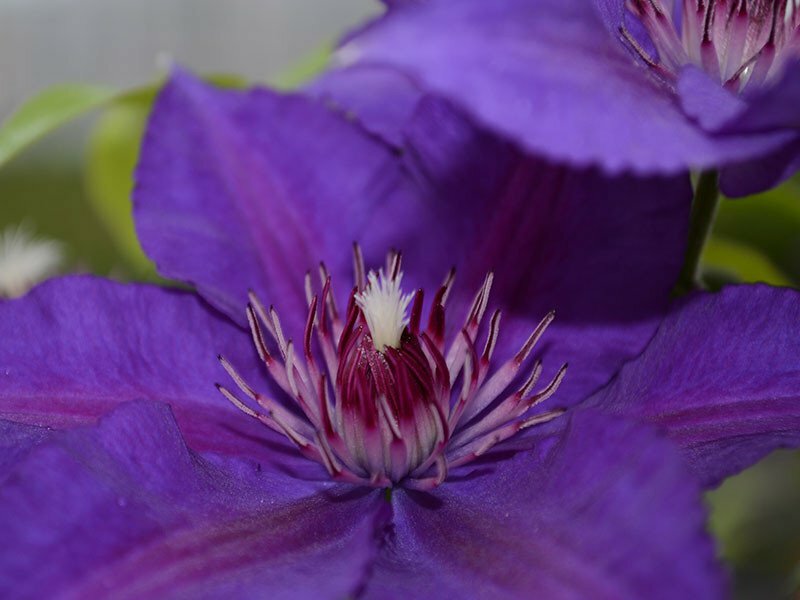 The central sepals are usually shorter and paler in colour, the outer sepals being purple with a darker reddish purple central bar. All have pointed tips. Due to its compact habit it is well suited for the smaller garden or town garden, growing in pots or in the garden. Its colour allows it to blend with any other garden plants and it will show up well with greys, variegated and purple foliaged shrubs looking splendid with blue ceanothus for instance.